I enjoy sports and playing golf and softball in my spare time. I am also an outdoors man and have a knack for hunting and fishing. I’m the proud father of three adult children, 2 boys and 1 girl: Darryl, Brooke, and Austin. I have been married to my beautiful wife for over 25 years and we have 4 lovely grandchildren that we cherish. 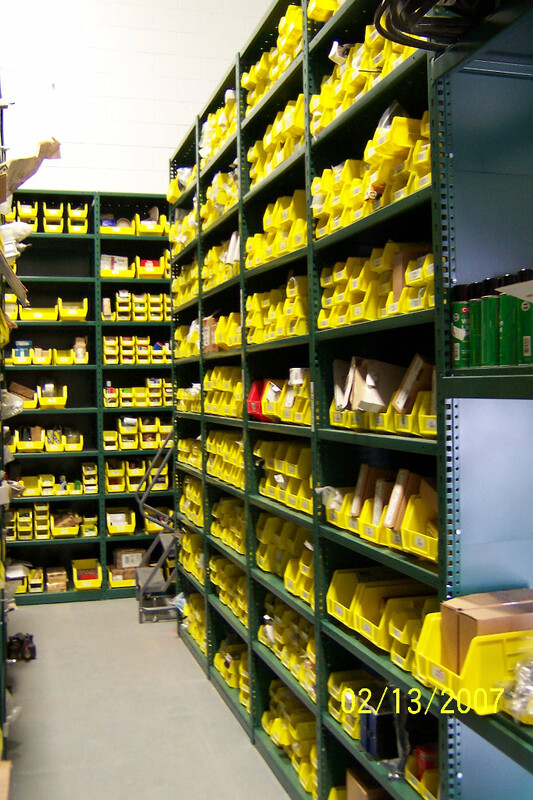 Customer needed a new area to store parts for their manufacturing facility. 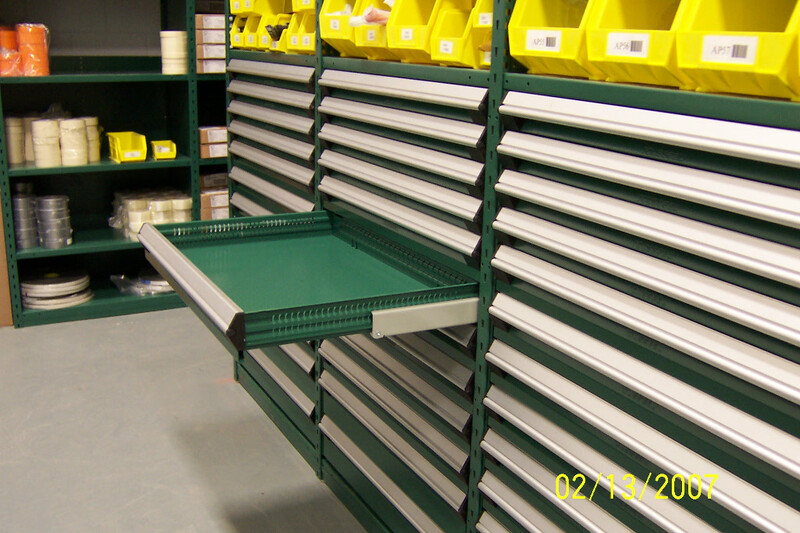 CMH designed, sold and installed a Shelving System which incorporated shelving for bins storage, wide span shelving for larger parts and modular drawers for smaller items. We also sold and installed a maple top desk area with drawers below so customer could have an area for their computer and to dispense parts. 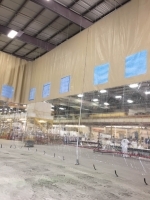 Boat builder in Eastern NC needed to partition off an area to contain dust. CMH sold and installed 35′ tall X 170′ long curtain. 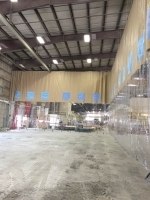 Curtain has built in filters for dust collection and a 3′ strip door for pedestrian entrance. It hangs from a track which allows opening and closing to get boats in and out. Curtain was installed in 3 days. 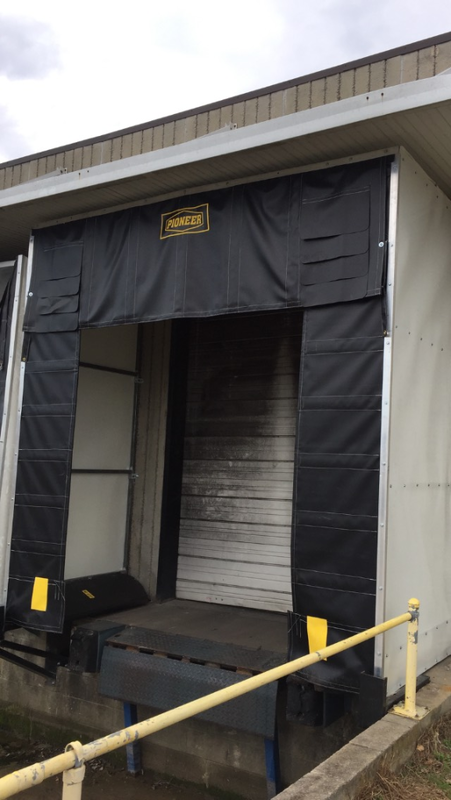 Customer in a manufacturing facility in Goldsboro NC needed a special sized dock shelter to keep out rain when unloading trucks. CMH rep promptly came out and looked at the application with customer. After taking careful measurements, he contacted Pioneer Dock Equipment and provided an affordable quote. Customer ordered, and within a few weeks CMH, installed the shelter and now customer is dry and happy. I not only love to play sports but I also follow professional football and baseball. The Carolina Panthers are the way to go and will win a super bowl in the near future, you can count on that! I’m also an avid Atlanta Braves fan since NC doesn’t have a pro baseball team. 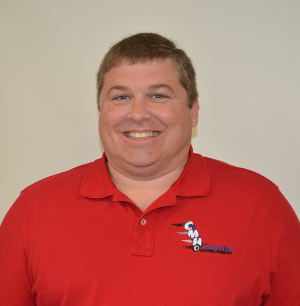 My hometown is Goldsboro, NC and I have been in the material handling business for 23 years. It’s safe to say this is my passion. My customers love the fact that I am a very honest man and extremely easy to get along with. While some may shy away from companies when problems arise, I face them head on. I don’t treat my customers as numbers,and I have became friends with them all. No one is hesitant to call me with any questions or concerns and I welcome that. I specialize in casters, racking, conveyors, mezzanines, and modular offices. I am also very savvy in all sales and installation of our material handling products. My commitment to my family and work shows that I’m not one to disappear when the going gets tough. I take the needs of my customers seriously and my relationship is ongoing. I am competitive by nature, which helps to tackle challenges with ease. Many of my customers come to me for my opinion on what will help their business grow and flourish due to my dedication and honesty. 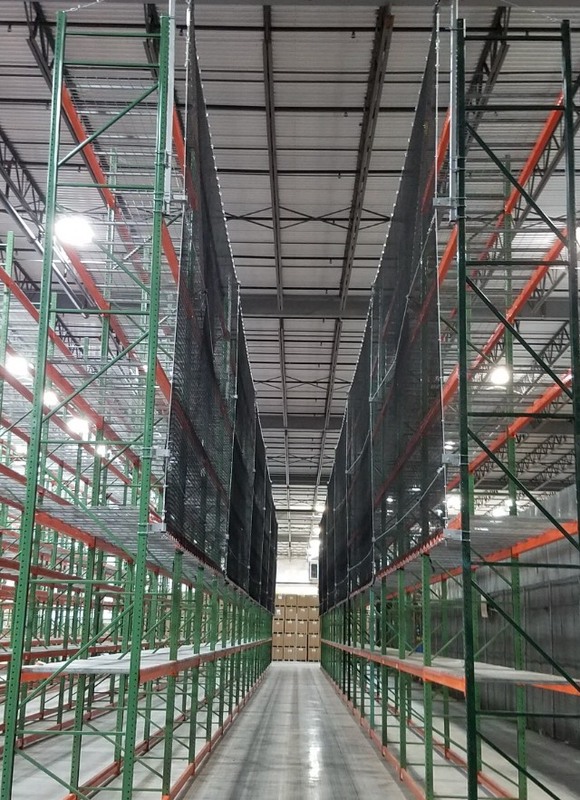 After nine years in material handling sales in West Virginia and North Carolina, John L. Middleton came to the decision that his customers’ challenges could be better solved using a variety of material handling products rather than a “forklift truck fixes all” approach. In 1971, he incorporated Carolina Material Handling, Inc and began representing an extensive lineup of nationally acclaimed material handling suppliers as well as stocking a small selection of hand-trucks in his home. Read more. Looking for equipment to help lift oversized loads and maneuver objects too heavy for the unaided human? Carolina Material Handling provides many options including scissor lifts, ergonomic lifts and stackers. You have the choice between different weight capacities, platform size and shapes, and durability. We are sure to have something that meets all your lifting needs. In need of an office solution for your warehouse but don’t have a lot of space? 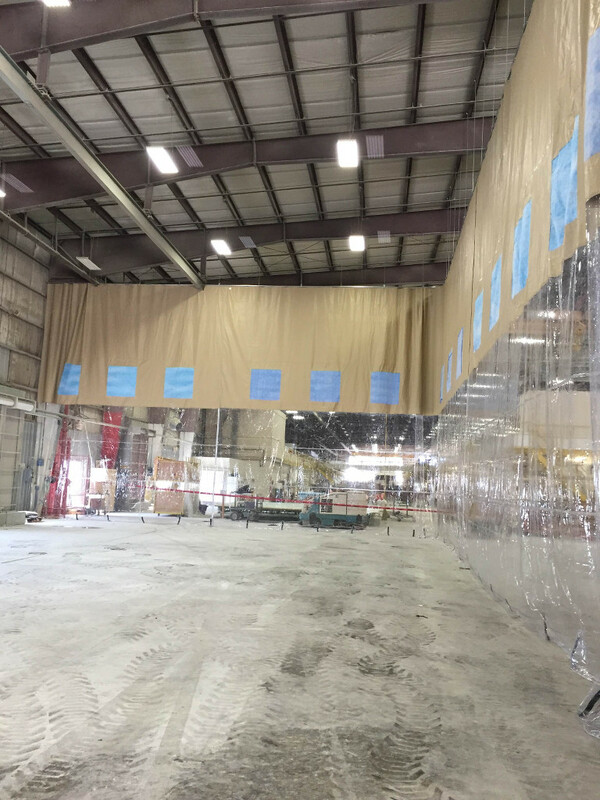 Consider a modular building, Inplant office, or mezzanine from Carolina Material Handling. We have several options that are sure to solve your space problem for a price you can afford.